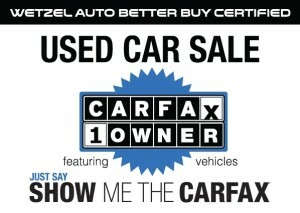 CARFAX 1-Owner Sale: What is CARFAX? The CARFAX 1-Owner Sale has begun at Wetzel Auto, but what makes CARFAX such a great tool when purchasing a pre-owned vehicle? 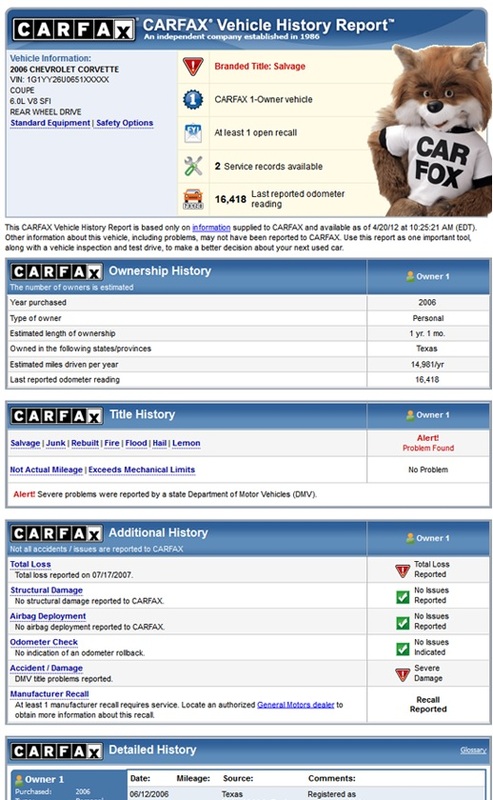 CARFAX vehicle history reports are the first step to protecting yourself against buying used cars with costly hidden problems. 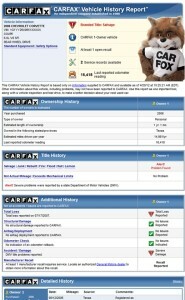 The CARFAX Vehicle History Report summarizes history reported to CARFAX for a specific vehicle since it left the factory. The CARFAX database is the most comprehensive vehicle history database in North America, containing over 9 billion records and growing every day. Records included in each CARFAX Report reveal important information about a car’s history, such as an odometer reading, existence of a branded title such as a salvage/junk title, or past registration as a fleet vehicle. A CARFAX Report may not include every event in a vehicle’s history, but will include the data that is reported to CARFAX for a specific vehicle identification number (VIN). 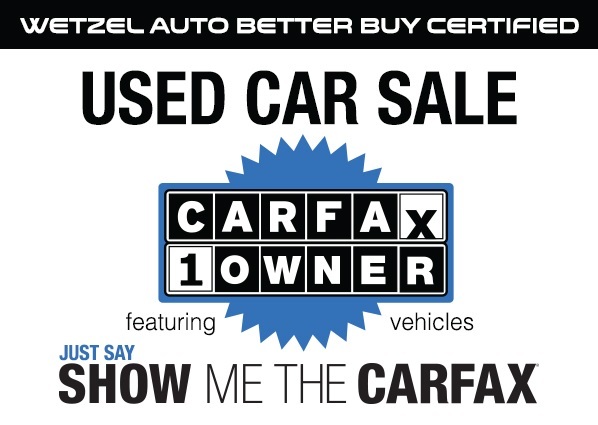 During our CARFAX 1-Owner Sale at Wetzel Auto, you’ll find vehicle with less mileage, less wear, and at a price to fit your budget. Less Wear. Less Tear. Lower Prices. 0 comment(s) so far on CARFAX 1-Owner Sale: What is CARFAX?